Robert Lichtman taught the Bates method in New York and ran effortlessvision.com. He wrote “Myopia as an Adaptation” and put it online as a PDF in 2010. Sadly, he passed away in 2015 from cancer. The rest of his site may be lost, but luckily a few of us saved this file, and before his passing he gave permission for me to repost it online. The main reason I’m posting it is simple: I like it lots! I had read it years ago and emailed with him a little about the interesting topics he brought up. I re-read it again recently and liked it even more. Being able to distinguish points one arc degree apart is the definition of normal vision (Blake & Sekular, 2006), and this seems impossible to a myope accustomed to grabbing larger areas in a single fixation. At the same time, asking an emmetrope to expand the area of attention will produce myopia within seconds. 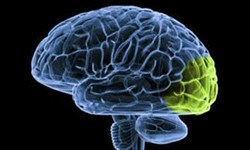 While this spreading out of attention happens in the visual cortex by ignoring higher frequency spatial fields (the reason why, connected to mental imagery, will be explained below), once again the extraocular muscles are needed to hold the eyes in place as the individual somewhat consciously suppresses saccadic motion in exchange for a bigger, albeit blurrier, image. Either way, it seems the act of remembering having seen something requiring high-resolution spatial fields is enough to restimulate them, or more accurately, stop suppressing information from them. At the same time, it stands to reason that suppression of mental imagery would suppress, or dull, the high frequency spatial fields and thus blur vision. I think I read this before. There is an unfinished sentence at the top of page 9. There is an awful lot of good material in here (as you say) and much of it chimes with what you have put into your own method (I have read the new version of that and, on the whole, it is an improvement – I am still thinking about it). One thing that sticks out in my mind just now is how, under stress, visual imagination is replaced by verbal activity (I think he mentions this in relation to worry or anxiety). In my own experience when practising imagination the loss of attention takes the form of verbal ‘interruption’, as it were. I noticed that hanging sentence, but it is what it is at this point. Quieting your mind with meditation should cut down on mental chatter. I particularly like his emphasis on a small area of attention from which your best vision will come from. But instead of trying to limit your attention to a small area (which I think is what many people try to do in applying this concept), it’s a subtle but important mental shift to expecting the clearest details to only come from a small area. A subtle change like that can change your whole habit of looking at things to something in congruence with the physiology.